The earlier production of the V301E "Italian" Continental Organ was covered in the dark gray basket weave pattern vinyl shown at upper left. Silver piping was used as a cosmetic accent and to eliminate visible seams in the vinyl. 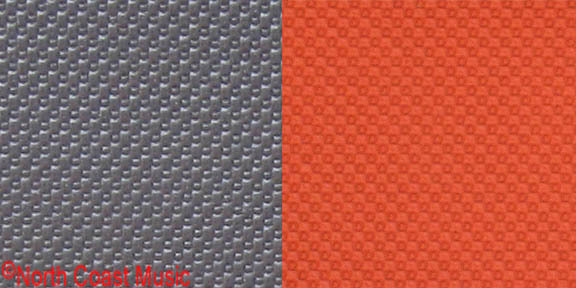 The orange vinyl used on the V301E also had the same small basket weave pattern. A small, gold plated VOX logo faced the musician and was mounted with two pins to the orange lid. 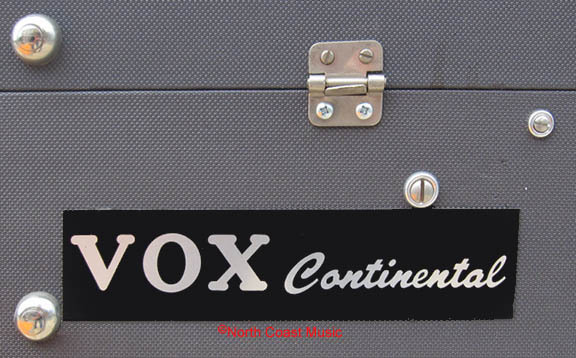 This same logo was also used on the Vox T.60 amplifier. 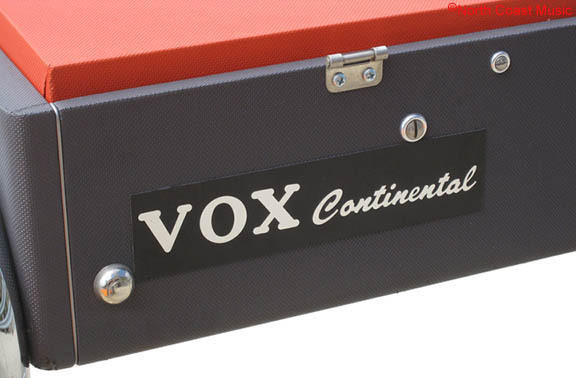 A larger "VOX Continental" logo was glued to the front face of the organ, facing the audience. 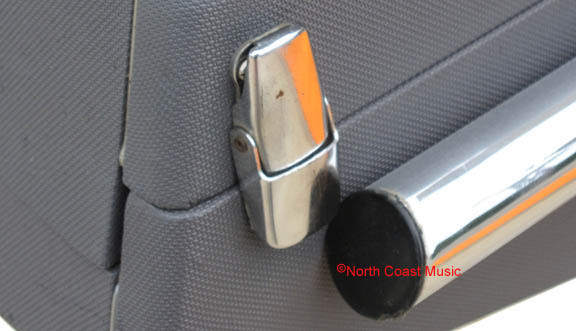 The removable carrying lid was fastened by three break apart hinges and two chrome latches. 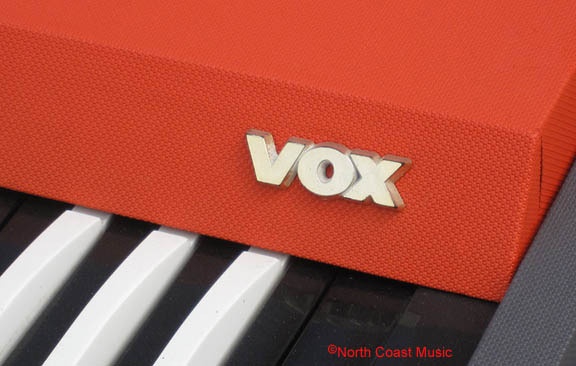 North Coast Music is the ONLY source for Vox factory authorized and approved Continental Organ replacement nameplates in the world. Beware of counterfeits!